These islands are known for their impressive number of endemic species. Tuatara, endemic to New Zealand, was extinct on the mainland until its reintroduction in 2005. It is often common to hear that every island has the features of sun, sea, and sand but there are also unique features of endemic species which make some islands biodiverse. 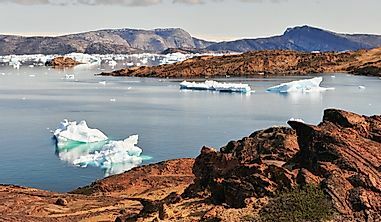 An island is defined as a part of the dry land that is surrounded by a water body whereas biodiversity can be simply described as an uncommon or unique assemblage of living organisms. The living species become unique by either migrating to the island or by disbanding from the ocean to the landmass. Moreover, organisms often inhabit secluded areas where they are then forced to develop on their own leading to the growth of diverse and special species with entirely fresh appearances and scarce adaptations. Variations like this one often include dwarfism, lack of defense mechanism, gigantism, and flightlessness. Islands have a history of harboring such endemic species and some of these biodiverse landmasses include Hawaii, New Caledonia, Galapagos Island, New Zealand, and Socotra. Below is an analysis of the mentioned islands and their unique species. Hawaii’s biodiversity is shaped by its volcanic hotspots and 25,000 other exceptional species, which live in a mild steadiness. 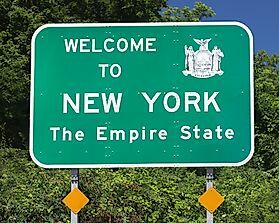 They face extermination due to human inhabitance on the island. 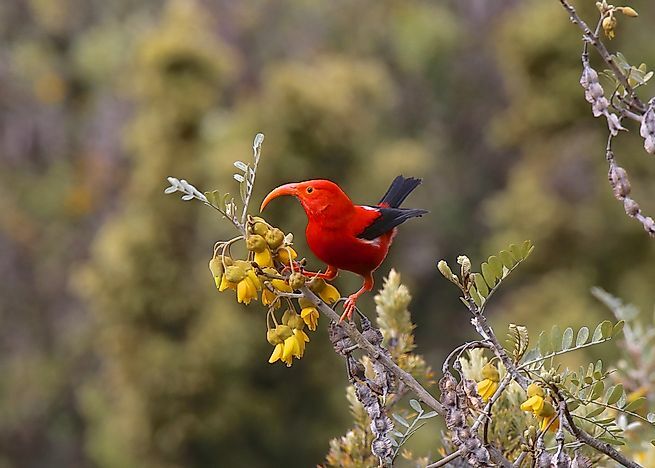 Some of the organisms that make up Hawaii’s biodiversity are endemic species like the I‘iwi bird which is also native and was part of the Hawaiian honeycreepers family. It is bright red and travels a lot to find its preferred blossoming trees to feed on nectar. 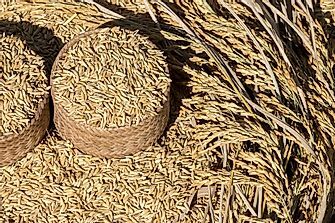 However, it faces threats of destruction of its habitat, disease, and predation by introduced animals. Another species that is endemic is the Hawaiian duck which is closely related to the Mallard except that it is smaller in size. Hawaii’s biodiversity is mainly made up of rare species birds, insects, and marine dwellers hence bringing out an incredible type of exquisiteness. Hawaii has only one surviving mammal which is the Hawaiian Hoary Bat which endured the journey from land to ocean that would have been difficult for mammal species. As stated by Dr. Jack Randall, 23% of fish variety is distinctive to only Hawaiian Island. For instance, the Flame Wrasse fish and the Bandit Angelfish, which is known for its chubbiness. This fish species are unique to Hawaii as they have no similar characteristics with any other fish, unlike the Red Hawaiian Lionfish which has similarities to the Spot fin Lionfish in Indonesia. New Caledonia is a site for much biodiversity because of its unusual features like rare soil conditions, varied landscape, and discrete microclimate. Caledonia’s biodiversity majors on Grand Terre Island which includes a mountain range that splits it. The mountain brings about a rain shadow to the west and humid, moist conditions to the eastern slopes. Caledonia has local ecosystems like the humid forests, marquis, dry forests, freshwater wetlands, and mangrove swamps to which its endemic species have impressive adaptations. Some of the endemic species that make New Caledonia biodiverse include distinctive plants like amborellcaeae, endemic conifers (mobot), orchid genera, and panie kauri. Bird species that make Caledonia unique comprise the cloven feathered dove, yellow-bellied robin, new Caledonian imperial pigeon, and the red-throated parrot finch just to mention a few. Under freshwater fish unique to Caledonia are the silverside, loach goby, and pipefish while the mammals are the ornate flying fox, New Caledonia blossom bat, New Caledonia wattle bat, and the loyalty bent-wing bat. 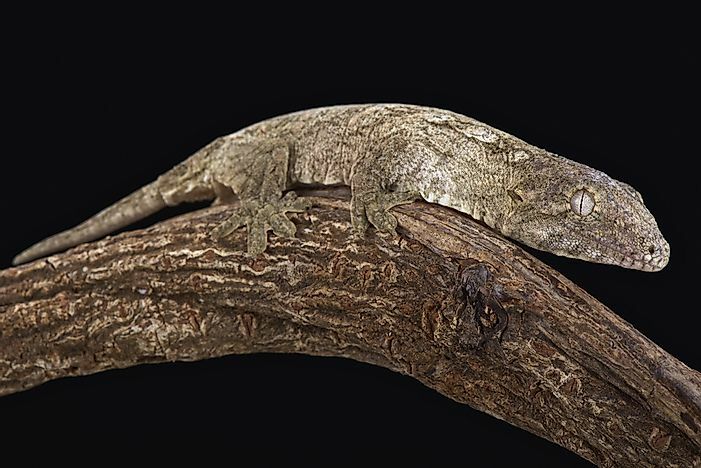 New Caledonia is also home to the New Caledonian giant gecko, the world's largest extant gecko. The hector’s dolphin is the smallest dolphin. New Zealand comprises of two main landmasses; the North and South Islands. Its ecosystem is inhabited by endemic species like the native birds, amphibians, reptiles, and 90% of marine life which cannot be found anywhere else. Some of the endemic species of New Zealand include native birds like the Kiwi bird which is a subtle night-time kind of bird that lives in forested areas. Although kiwi birds can look quite lovely, they can be vicious and defensive. There is the lesser short-tailed bat also referred to as Pekapeka, which is considered exceptional in New Zealand as it is the lone native mammal. Kea, which is the only alpine parrot globally, is also a native bird of New Zealand. It is known as a free-spirited kind of bird, but it can also be termed as intelligent judging from its actions. 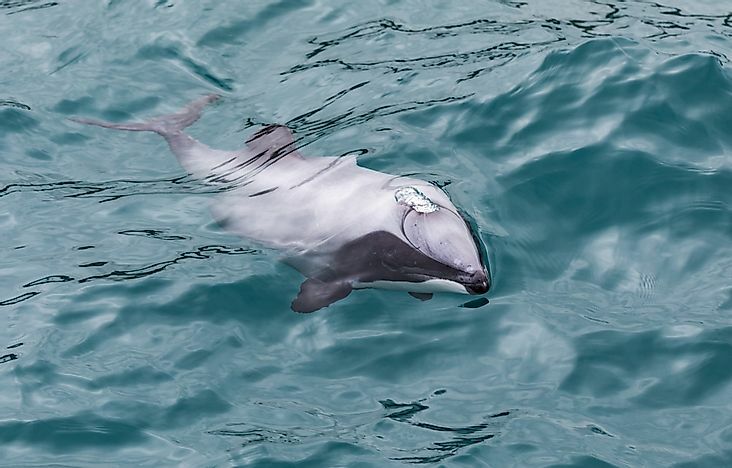 Another species which is of sea kind that makes this island biodiverse is the hector’s dolphin. It got its name from Sir James Hector who was the first to scrutinize dolphin sample. The hector’s dolphin is the smallest dolphin and is commonly known for riding the South Island waves. Another unique species is the New Zealand fur seal, which inhabits the South Island mostly in Kaikoura, the Catlins, and Fiordland National Park. 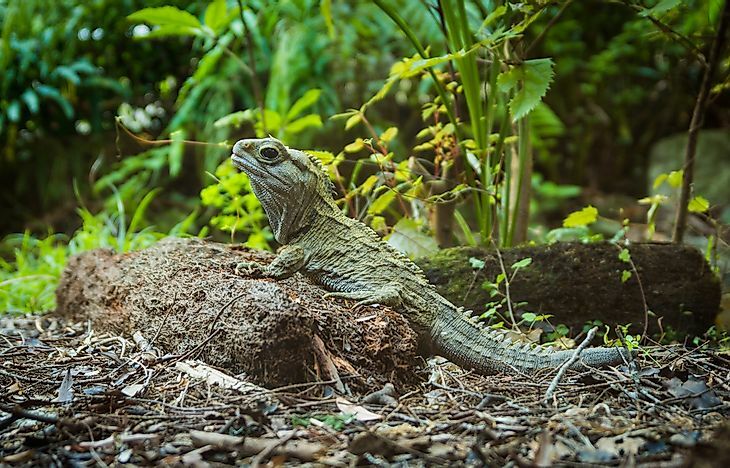 Apart from the native birds and seal life species, there is a reptile species by the name Tuatara which is the only remaining reptiles from the dinosaur era. The Tuatara is the only reptile with a beak kind of head, and it can live for up to 100 years and more. New Zealand also has great diverse flora due to the high amounts of rainfall and great sunshine levels. It has amazing native forests like the rimu, totara, beech and the native gigantic kauri. The Galapagos Marine Iguana is considered exceptional for its adaptation to water. Galapagos is believed to be biodiverse because of a large number of endemic species that call the island their home. It has a high concentration of unique flora and fauna, but most species of the fauna are of reptiles and birds but not mammals because of long-distance migration across the ocean which would have been chaotic for the mammals. 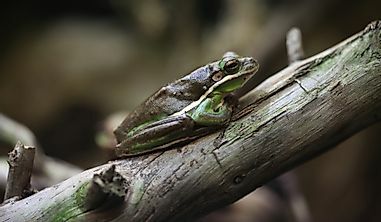 The distinctive species found in Galapagos act as evidence regarding the evolution theory of Charles Darwin. The species that take credit for making Galapagos a biodiverse island include the Galapagos Tortoise, which is the largest tortoise globally and breaks the record of the vertebrate with the longest lifespan. 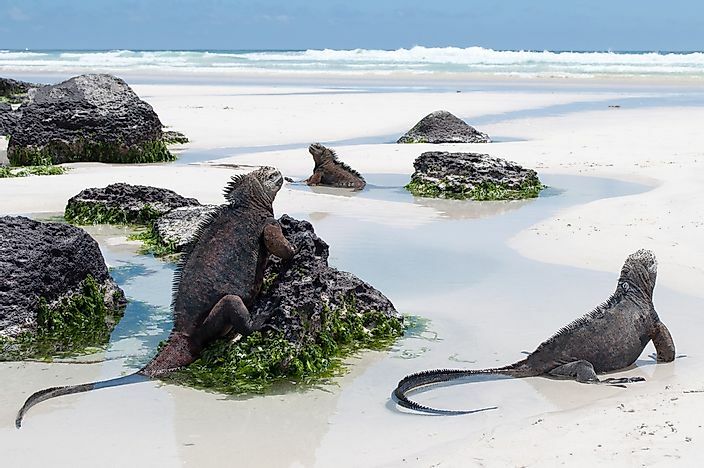 The Marine Iguanas is considered exceptional for its adaptation to water, unlike other iguanas which stayed on land and is known to be the lone marine lizard on earth. The Galapagos finches, the flightless cormorant, and the Galapagos Fur seal add to the list of these species, and they have played a major role in putting Galapagos Island on the map of biodiversity. 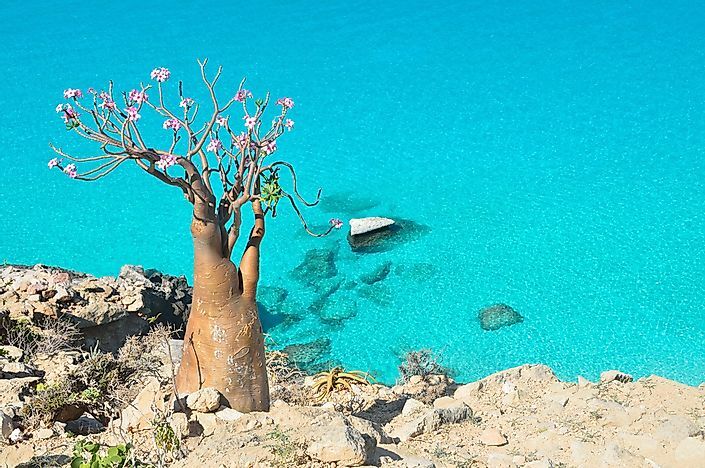 Desert Rose bottle tree in Socotra. Socotra, also known as “Galapagos of Indian ocean,” like all the other mentioned islands takes pride in its unique flora and fauna. 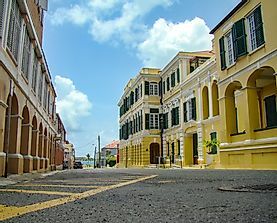 It is known for its distinct species as is evident regarding its endemic plants such as the bottle tree, cucumber tree, the frankincense, and the dragon blood tree which have given the island an unusual and appealing appearance. Socotra is also known for its eye-catching fauna which includes species of birds that can only be found in Socotra. They encompass the Socotra sunbird, Socotra cisticola, Socotra starling, Socotra sparrow, Socotra golden-winged grosbeak, and Socotra bunting.